This book describes four major cosmological systems found in the Tibetan tradition—those associated with the Hinayana, Mahayana, Kalachakra, and Dzogchen teachings. In Tibetan religious literature, Jamgön Kongtrül's Treasury of Knowledge in ten books stands out as a unique, encyclopedic masterpiece embodying the entire range of Buddhist teachings as they were preserved in Tibet. In his monumental Treasury of Knowledge, Jamgön Kongtrül presents a complete account of the major lines of thought and practice that comprise Tibetan Buddhism. 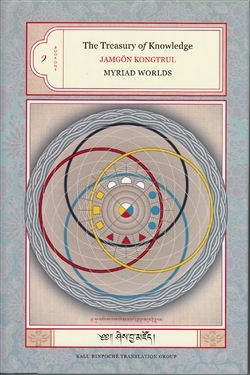 This first book of The Treasury which serves as a prelude to Kongtrul's survey describes four major cosmological systems found in the Tibetan tradition—those associated with the Hinayana, Mahayana, Kalachakra, and Dzogchen teachings. Each of these cosmologies shows how the world arises from mind, whether through the accumulated results of past actions or from the constant striving of awareness to know itself.